Off to Iran for a holiday, vacation or business trip? To know what to pack you need a weather forecast. Here we run you through the weather patterns in Iran. Iran is sits in the Middle East and borders Iraq, Afghanistan, Turkmenistan and Pakistan. It is surrounded by the Gulf of Oman, the Persian Gulf and the Caspian Sea. Due to the large size of Iran (it is approximately three times the size of France), there can be great variation in weather conditions across the country. The following information however, will provide a general guide as to what to expect in terms of weather if visiting Iran. Winter weather in the northwest of Iran is typically cold with heavy snowfall and subfreezing temperatures, whilst in the southern regions of Iran, the weather during this period is often fairly mild. However, cold air blowing from Siberia can produce some very cold weather during this period. Weather during the spring period in Iran is typically fairly mild and most of the rainfall seen in Iran occurs during the Spring and Winter periods. However the weather within the Caspian coastal area of Iran (which is a high mountainous region) is very different to the rest of Iran and this area usually experiences rain fall throughout the whole year. Due to the different weather conditions in this country, the region is far more fertile to the rest of Iran which is typically fairly arid. Summer weather in Iran is typically very hot and dry. 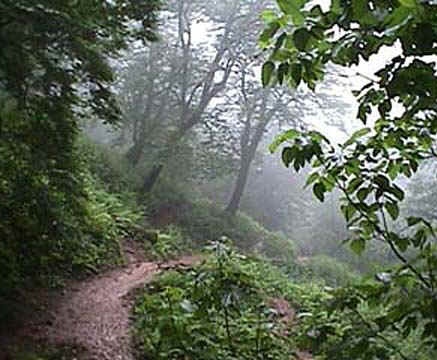 It is not uncommon for the temperature in the south of Iran to exceed 37 degrees centigrade during this period. The sun shines almost continuously during this season. Like the spring, autumn is a fairly short season in Iran and it’s advisable to visit at this time. Travelling to Iran in the next few days? Get all the updates on the weather and climate in Iran by using the Iran Weather Outlook tool.